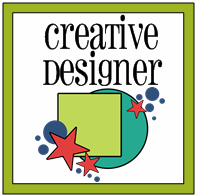 I am thrilled to announce the call for Creative Scrappers Design Team for Summer 2014. I am looking for talented and committed designers who love to Create with Sketches! Who are willing to inspire others and of course be a proud designer for Creative Scrappers. The deadline for all applications to be received is May 12 2014. The individuals chosen to join the team will be notified via email and the new team will be announced here on the blog May 15th 2014. Good luck everyone! I'm excited to see your applications!